– Heated Sanitary "Art deco"
– Pitch "Backpacker" 1 or 2 pers. From 1450, ships from and around Granville fished for cod off Newfoundland. Through the centuries, Granville became an important cod port, like its Breton neighbour Saint-Malo. Notably, Granville is the home-port of the ‘Marite’, the last wood-built Newfoundlander. Witness to the great fishing fleets off the banks of Newfoundland, ‘le Marite’ has found its home-port in Granville. 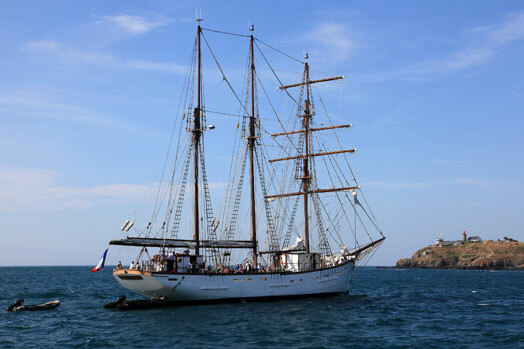 After having served as a coaster, as a pleasure-boat and even as a television studio for the programme “Thalassa”, the old rigged wooden ship had been undergoing restoration since 2006. Work began at Cherbourg, continued at Saint-Vaast and was completed at Granville in June 2012. Under Louis XIV, Granville, then a dynamic port swarming with sailors, furnished a number of corsairs for royal service and 15 Admirals including Pleville Le Pelley, the “Wooden Legged Corsair“. A detour to the old town is a must when visiting Granville ! Sheltered by ramparts, you will find elegant private residences, the Richard Anacréon Modern Art Museum and a museum dedicated to the Old town of Granville (musée du Vieux Granville). From the historical centre, take a stroll to the Roc, where you can visit the aquarium Le Roc des Harmonies and the Semaphore. Granville became a popular seaside resort in Normandy, at the end of the 19th Century. It is pleasant to stay there and to be lulled by that ambiance uniquely found in ports, but with a touch of elegance brought by holiday makers from the city. The archipelago of Chausey is the insular quarter of Granville, and the pride of its inhabitants! The island, with its idyllic landscapes is only an hour off the coast of Granville. Landing there is a pure delight… Set off to Chausey, and enjoy a visit to the beautiful sandy beaches. Paradise! Granville is the leading French shell fishing harbour for whelks, scallops, clams, dog cockles, cuttlefish and sea bream. Stop off in Granville and treat yourself to a mouth-watering seafood platter. 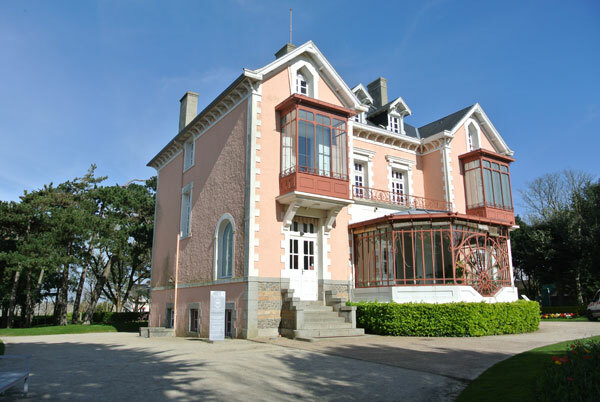 And then there are meetings with the celebrities, for example the couturier Christian Dior whose childhood home is here. Now a museum, the house hosts each year an exhibition dedicated to the stylist.